London, ON – The Sunshine Foundation of Canada is pleased to announce that its 53rd DreamLift will depart from Toronto, ON June 11, 2013, sponsored by the Ontario Automotive Recyclers Association (OARA). A DreamLift is a one-day, whirlwind adventure to Disney’s Magic Kingdom in Orlando Florida. The DreamLift offers a taste of independence for boys and girls with severe physical disabilities and life-threatening illnesses. For many, it is their first plane ride or their first day away from their parents. Some have never been able to travel due to their daily treatments, special feeding requirements or the physical challenges involved in their day-to-day care. Earlier in 2012, OARA, along with partner Ontario Tire Stewardship (OTS), ran a wildly successful Tire Take Back event. In one week in May, participating OARA Members collected 139,000 tires and donated $358,000 to the Sunshine Foundation. Plans are already underway for the 2013 Tire Take Back Event, scheduled for the week of May 27, 2013. “Our Members are enthused to be involved again, and while I can’t say that we will break last year’s record, we have some interesting plans to try. With the DreamLift occurring just 10 days after the close of the 2013 tire collection event, we know our Members are going to be pumped, and we hope the community gets involved too,” said Fletcher. The Sunshine Foundation of Canada makes dreams come true for children who are challenged by severe physical disabilities or life-threatening illnesses. Dreams range from family trips to celebrity meetings, and gifts like computers and customized bicycles. 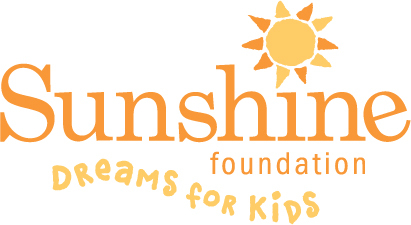 Sunshine Dreams allow children to escape from the daily regimen and challenges of living with a severe physical disability or life-threatening illness. Founded in London, Ontario by a police officer who lost his teenaged son to muscular dystrophy, Sunshine is now a national organization with volunteer chapters across Canada. 2012 marks the foundation’s 25th Anniversary. Over that time Sunshine has fulfilled dreams for more than 7,000 children across Canada. For more information, visit www.sunshine.ca. The Ontario Automotive Recyclers Association (OARA) represents 130 professional auto recyclers across Ontario who recover and recycle end-of-life vehicles for their parts reuse and materials recycling. 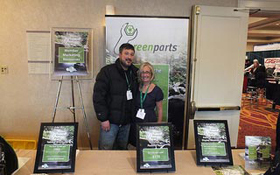 All OARA Members are certified to the Canadian Auto Recyclers’ Environmental Code (www.carec.ca), and sell quality Green Recycled Parts. For more information, visit www.oara.com or follow on Twitter at @autorecyclersCA. Once again OARA and OTS will team up to raise funds for the Sunshine Foundation the week of May 27, 2013. Ontario residents can bring their unwanted tires to any participating OARA Member, and the Member will donate the Collector Fees normally received from OTS. OARA will also match the Member’s donation. Combined with the support of Registered Tire Haulers, each passenger tire generates approximately $2.00 for the Sunshine Foundation.